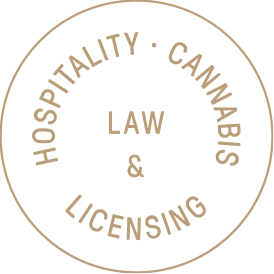 Many of our clients ask us about how to go about obtaining a permit to operate a food truck. We always tell them that the only way to get one is on the black market from permit holders who lease them out for a pretty steep monthly “rent”. It’s a free market economy and the permit lease fees can vary from a few hundred to a few thousand dollars per month. The waiting list for new permits is years long and it just does not make any sense to us as to why the city would not acknowledge the reality of the situation and embark on a new vendor permit program. There is no valid reason as to why the city simply does not issue more permits. There are many entrepreneurs that want to get started with a truck and it’s a decent way to go. The start-up costs are relatively low and the exposure to the public is enormous. We will continue to urge City Hall to get it together and revamp their antiquated permit system. Below is an article from the Wall Street Journal about this very subject. Monawara Sultana says her rent is going up: $14,000 for a two-year permit to run a food cart where she sells $1 hot dogs outside of Montefiore Medical Center in the Bronx. 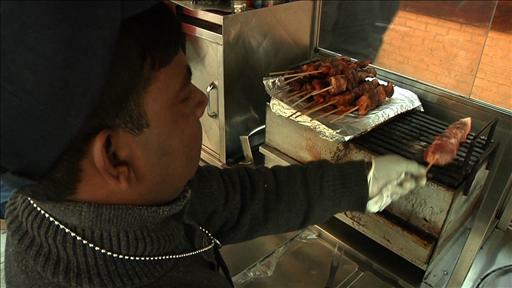 New York City’s competitive street-food culture has created a thriving black market for permits, which are in short supply across the five boroughs. WSJ’s Hilke Schellmann reports. The city’s competitive street food culture has created a thriving black market for mobile food vending permits issued by the Department of Health and Mental Hygiene. The city charges a mere $200 for most food-cart permits, which must be paid every two years when they are renewed. But it only issues 3,100 year-round permits plus an additional 1,000 seasonal permits—not enough to satisfy demand. Transferring or renting these permits to another vendor is illegal but everyone, including the city’s Health Department, acknowledges, that it happens. Elliott Marcus, an associate health commissioner, said the black market was a source of “big concern.” Still, in a statement, the Department of Health noted: “While the Health Department suspects that in some instances permits are being transferred illegally, it is extremely difficult to prove an illegal sale in a particular case because the law does allow a permit holder to employ other licensed vendors to work his or her cart.” To help remedy that, the department will soon propose changes requiring that permit holders appear when renewing permits and carts are re-inspected every two years. 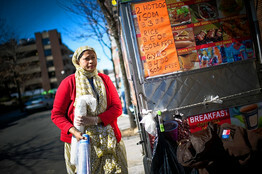 Rob Bennett for The Wall Street Journal Monawara Sultana faces soaring costs for her food-cart permit. Meanwhile, demand for permits and their black-market prices continue to climb as street food’s popularity soars with blogs like Midtown Lunch chronicling vendors’ moves and some gourmet food trucks developing cult-like followings. Some permits fetch as much as $20,000 for two years, vendors say. In the case of Ms. Sultana, the Bronx food vendor, she says the permit holder told her someone else was willing to pay $15,000 for the permit she previously paid $7,000 for two years ago. Obtaining a food cart or truck permit in one’s own name can take a decade or more, according to vendors. There are 2,080 people currently on the citywide waiting list for a two-year permit. The list is compiled of license holders and it’s not uncommon for families to get licenses for every member of their family—even if they don’t work at a cart—to increase their chances of obtaining a permit. The Health Department has distributed 292 year-round permits for food carts since June 2007 through a lottery system, forcing many new carts and trucks to navigate their way through brokers and middlemen who sell the permits, or the permit holders themselves, most of whom are retired vendors. According to a list of permit holders from the Health Department, some live as far away as South Carolina, Texas and Arizona. Sean Basinski, director of the Street Vendor Project, an advocacy group that is part of the Urban Justice Center, estimates that 60% or more of vendors rent their permits. “There’s no sign that the Department of Health is willing to do anything about this,” he said. “This is about economic justice within the vendor community between former vendors and current vendors.” He supports issuing more permits. The Department of Investigation probe two years ago concluded that more than 500 permit holders may have sold their permits illegally and evidence was sent to the Department of Health for appropriate administrative action, such as permit revocation. Four of the six individuals arrested as a result of the investigation pleaded guilty; one was sentenced to jail time when he was already incarcerated for an unrelated crime. According to the Department of Health, no permits were revoked as a result of the investigation, though two were voluntarily surrendered, and 156 permits weren’t renewed. The Department of Health and Department of Investigation said they are reviewing the remaining cases. Some in the business industry say the popularity of street food could reap the city big money if it put food permits up for auction like taxi medallions, an idea one man is currently pitching to city officials. “This is a no-brainer for the city,” said Andrew Murstein, president of Medallion Financial Corp., the largest taxi medallion lender. He notes that the first medallions were issued in 1937 for $10 apiece. Their prices have risen ever since, and one recently sold for $900,000. The city’s Parks and Recreation Department awards permits for the couple hundred mobile food units on its property—including highly coveted spots fronting the Metropolitan Museum of Art and Museum of Natural History— through a competitive solicitation process. In fiscal year 2010 the highest amount paid for a permit was about $144,000 for a cart at the south entrance to the Central Park Zoo. Not everyone believes the permit system needs to change. Adam Mizrahi’s family holds the permit to Moshe’s Falafel cart in midtown. He acknowledges he’s one of the lucky ones. “Most of the people rent,” he said.